At the 2018 International Boating and Water Safety Summit (IBWSS) in Lexington, KY in March, the non-profit Water Sports Foundation (WSF) earned four awards including a first-place and second place finish in the coveted Video PSA category at the annual Media Campaign Contest hosted by the National Safe Boating Council (NSBC), National Water Safety Congress (MWSC), and the National Association of State Boating Law Administrators (NASBLA). The awards were designed to showcase the outreach efforts of organizations, agencies, and groups in the realm of boating and water safety. 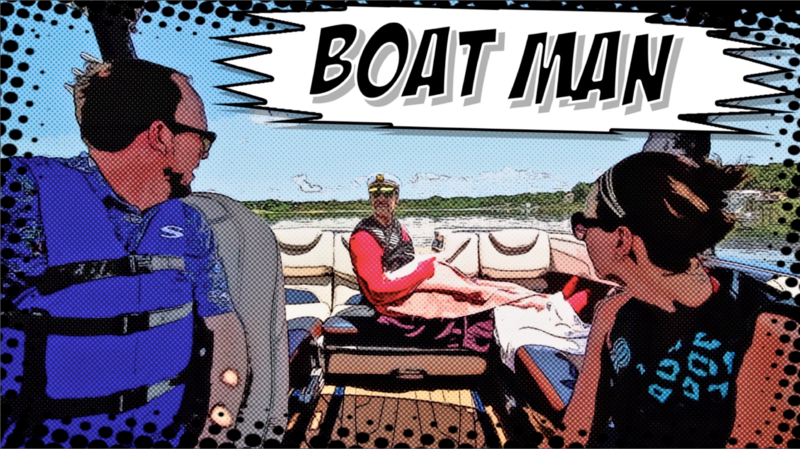 The contest was created years ago to recognize the creative ways boating and water safety advocates are communicating with the public about safety. WSF, a U.S. Coast Guard non-profit grant recipient since 2011, contracts with seven media providers in the powerboat, sail, and human propelled segments to produce and distribute outreach materials informing the public about the need for increased awareness of boating and paddling safety. WSF, won first place and second place in the Video PSA category. First place was awarded for the entertaining Boat Man Series where an amusing character plays the infamous “Boat Man” as he repeatedly pops up on unsuspecting boaters to remind them of particular oversights in safety. The series was created by Bonnier Corp. of Winter Park, FL, producers of Boating, Sport Fishing, Yachting and WakeBoarding among others. The video series can be viewed here. 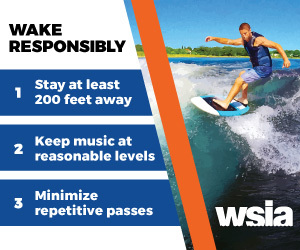 In the Booklets and Brochures category, WSF took second place for its Be Smart, Be Safe, Have Fun paddlesports safety pamphlet that clearly identifies eight need-to-know subjects with basic safety advice for novice paddlers. Just shy of seven million copies were printed and they are being distributed by eight of the world’s largest entry level kayak manufacturers inside each boat’s registration package to reach new paddlers at retail reminding them of the need for basic safety. The pamphlet was designed by The Enthusiast Network of Carlsbad, CA, producers of Canoe & Kayak and SUP the Mag. In the Audio PSA category, WSF won third place for its three, 60-second Spanish language audio PSA’s that are distributed by more than 137 Spanish language radio stations in America. The Hispanic Communications Network of Washington, DC produced the radio spots. Headquartered in Orlando, FL, the Water Sports Foundation is the non-profit educational arm of the Water Sports Industry Association (WSIA.net). Since 2011, WSF has received U.S. Coast Guard boating and paddling safety outreach funding through the non-profit grant program. The Sport Fish Restoration and Boating Trust Fund administered through Congressional action provides funding for the U.S. Coast Guard’s recreational boating safety initiatives. For more information, call WSF at 407-719-8062.